Whew! What a whirlwind these last three days were! We’ve discovered that coffee really does reach maximum potency, and we’re all looking forward to a long nap. Thank you so much for joining us in this crazy endeavor to resurrect WriteOnCon. Whether you participated as an industry professional or an attendee, we wouldn’t have been able to do it without your support. We hope you enjoyed all of the blogs, vlogs, and live events, as well as the critique forums. Go forth and implement what you’ve learned! The conference materials will be available to you for this following week, through 11:59 p.m. EST on February 12th, to be exact. If you registered for Extended Access, you’re able to view the materials for one month, through March 6th, 11:59 p.m. EST. Use this opportunity to catch up on blog posts you may have missed, rewatch the live events, and take notes to your heart’s pleasure! And don’t forget to follow-up with your friends on the forums. Your new community is here for ya! Though this post marks the end of the conference, do not weep for what is gone but instead look to the future: We here at WriteOnCon have already started planning the 2018 conference! We hope you’ll join us for another epic quest. Can I just say how awesome you all are? Thank you for organizing this. I’ve learned heaps and met some great people. I second what bluejules said. 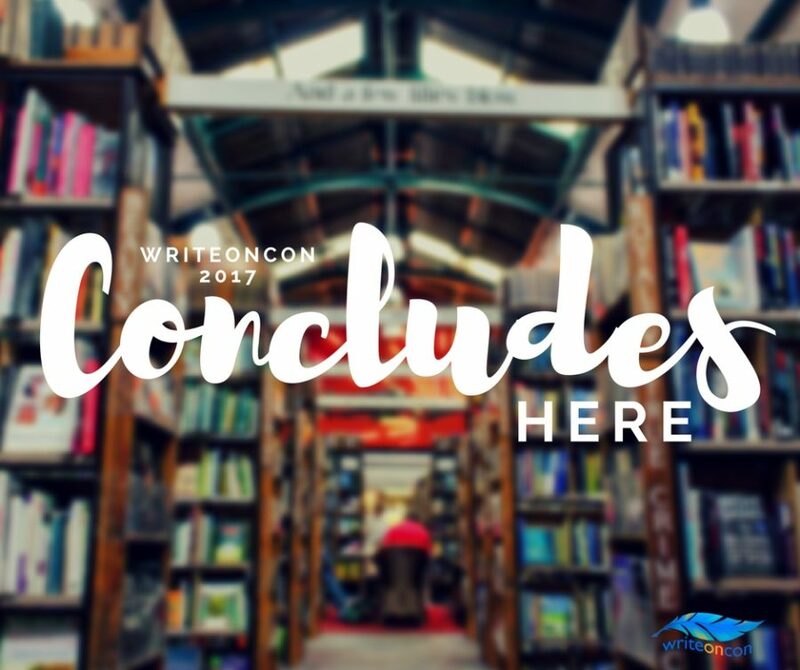 It was a wonderful conference, and I was so happy to see writeoncon return! Will there be a post when the Ninja agents are revealed? Thanks for all your hard work-!